I’m writing this just as the Chancellor sits down from delivering his 2018 budget. It was heavy going, mainly because his jokes were so awful. What he covered in the speech is only the tip of the iceberg. More detail will drip out as we trawl through the big Budget Red Book. What I can give you here is a quick run-down of bits that might affect freelancers and self-employed folk, as he mentioned them in the House. IR35 – This is the legislation which stops people being taxed as self-employed when they’re working in a way that looks like employment. In April 2018 the government changed legislation around this, but only for people getting work in the public sector. This included the BBC. 1/ The introduction to the private sector will be delayed until April 2020. 2/ It will “only apply to large and medium-sized businesses”. This could be important for freelancers who operate as Limited Companies working for production Indies. In the last year some production people have found their take-home pay has gone down significantly because of IR35. 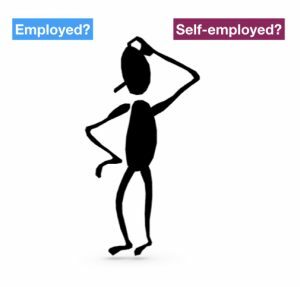 New Enterprise Allowance (NEA) – this is the equivalent of jobseekers allowance for people who are not looking for a job, but who want to set up a self-employed business. The Chancellor says the NEA will be extended. I’ll let you know the detail when I have it. Meanwhile here’s more about the NEA. 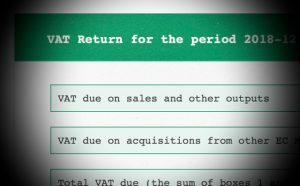 As the European VAT area is a part of the Brexit talks, it’s not really a surprise that this has been kicked two years down the line. Personal taxes – no doubt you’ve already spotted that the planned changes in income tax thresholds are being brought in a year early. From April 2019 the personal allowance will be £12,500 (up from £11,850 for 2018-19) . The higher rate tax threshold (except in Scotland) will be £50,000 (up from £46,350).